Every once in a while, the Arkansas Razorbacks play a football game outside the footprint of the Southeastern Conference. Sometimes games happen at locations that have special appeal to fans. They get excited about visiting new places while supporting their beloved Hogs. In 2005 the team played the University of Southern California (USC) in the vaunted Los Angeles Memorial Coliseum. The Hogs ended up on the wrong side of a blistering 70-17 beatdown, but fans got a once-in-a-lifetime chance to see West Coast football in one of its most storied venues. 2008 was Bobby Petrino’s first year as head coach in Fayetteville, and early in the season he took his team on the road to play the University of Texas. Austin has always been special for Hog fans, going way back to the days of the Southwest Conference. That history — combined with a food and music scene like few others — lured tons of Arkansas fans to the game. Unfortunately, the wrong team won on that day, too. New Belgium Brewing Co. – 500 Linden St.
Odell Brewing Co. – 800 E. Lincoln Ave.
Town Pump – 124 N. College Ave. The Mayor of Old Town – 632 S. Mason St.
Snowbank Brewing – 225 N. Lemay Ave.
Equinox Brewing – 133 Remington St.
Jessup Farm Barrel House – 1921 Jessup Dr. Choice City Butcher & Deli – 104 W. Olive St. Note: The next chance for non-SEC road trip fun comes in 2020, when the Hogs take on the Notre Dame Fighting Irish in South Bend, Indiana. Bret Bielema took over a Razorback program in 2013 that was mired in controversy and desperate for wins. In its fourth game the team traveled to New Brunswick, New Jersey — a long, long way from Fayetteville. The game’s proximity to New York City and the opportunity to see football traditions completely unlike those in the SEC convinced many fans to make the 1,300-mile journey. Rutgers played the role of spoilers, coming back from an early deficit to win the game by four points. Arkansas was supposed to start a home-and-home series with the University of Michigan this season, but the Wolverines backed out of that deal and left a hole in the schedule. The Hogs replaced them with Colorado State, a member of the Mountain West Conference and the state’s land grant university. And with that twist of scheduling fate, Razorback fans hit the beer travel jackpot. The first of a two-game series takes place this Saturday in Fort Collins, which is home to more than 20 breweries and is a top beer destination in the U.S. Craft beer fans from Arkansas — whose numbers are rapidly increasing — have a special opportunity to call the Hogs while experiencing beer nirvana. Fort Collins, which is a little more than an hour north of Denver, is best known as the home of New Belgium Brewing Company. Yet there’s more to the town than Fat Tire. 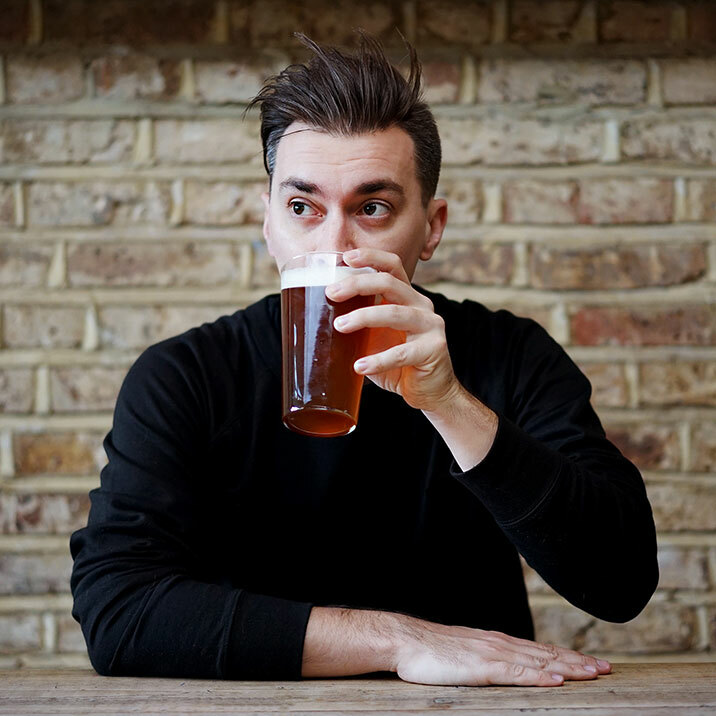 According to Good Beer Hunting’s UK Editor, Matthew Curtis, it’s a bit of a trendsetter for the broader American beer culture. Curtis doesn’t live in the United States, but as one of the chief contributors to Good Beer Hunting — a website that covers the beer industry through written editorial and podcasts — he has insider knowledge of all things beer. His father happened to move to Fort Collins a few years ago, and Curtis made his first visit there in 2010. He immediately fell in love with the town and its beer scene. Curtis says there’s a strong independent spirit in Fort Collins. You won’t see many Starbucks in town, due in part to the mindset of the city’s population. It’s all about locally-owned shops and restaurants, especially in the bustling Old Town section. In Fort Collins, beer is at the heart of it all. People love supporting their local breweries, and it shows in the sheer number and diversity of the breweries, taprooms, and bars in town. Everyone knows New Belgium because so many people’s first encounter with craft beer was Fat Tire. Founded in 1991 by Jeff Lebesch and Kim Jordan, by 2017 the brewery was the fourth-largest in the U.S with production of more than 950,000 barrels of beer. By comparison, Arkansas’ largest brewery—Lost Forty Brewing—made 12,075 in the same year. 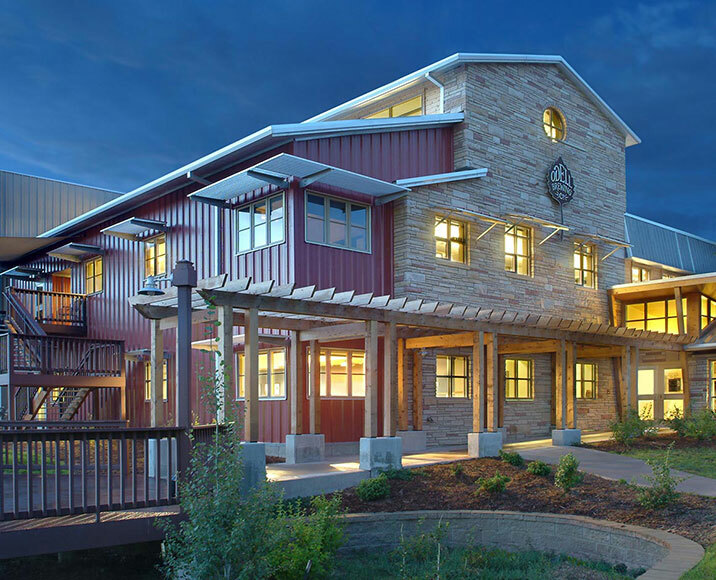 New Belgium is well known for its efforts in sustainability and the investment it makes in its employees. The brewery itself is a wonderland for adults, with exceptional design aesthetics and form function. And with world-class beers like La Folie, and lots of barrel-aged options, even the most discernable beer tastes can be satisfied. 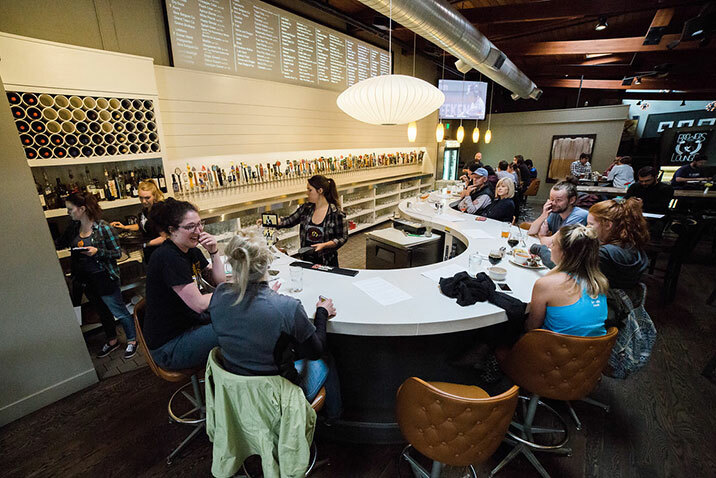 Although many beer tourists avoid the larger venues in favor of smaller, more eclectic breweries, Curtis says not to miss out on another obvious choice. Odell was the twenty-second-largest American craft brewery in 2017. Doug and Wynne Odell, along with Doug’s sister Corkie, opened the brewery in 1989. The beer has roots in classic English styles, but others in the lineup exemplify the hoppy American approach. Odell doesn’t have the distribution reach of New Belgium, but it is available a short drive from Razorback fans (across the state line in southern Missouri). Many Arkansas beer drinkers will be familiar with beers like Cutthroat Porter, 90 Shilling Ale, and 5 Barrel Pale Ale. Additionally, the consensus among Fort Collins beer drinkers is that Odell’s outdoor seating is some of the best in northern Colorado. Arkansans love patio drinking and should feel right at home there during their visit. Of course, breweries aren’t the only game in town. There are plenty of tap houses to keep thirsty football fans satisfied. The Town Pump opened in 1909 and looks like the kind of place where you literally rub elbows due to its minute size. A couple of recent Yelp reviews rave about jello shots and “toxic cherries” (cherries infused with everclear), so Arkansas fans looking to supplement their beer intake with something a little more high-octane might enjoy a stop there. Curtis’ favorite beer bar in town is one of the Fort Collins’ most storied. Curtis says it’s not uncommon to see coveted beers like Russian River’s Pliny the Elder—for several years considered the best beer in America, and hard to find outside its home state of California—on The Mayor of Old Town’s tap list. “It’s a really relaxed bar where I spend a lot of time and probably too much money,” he says. 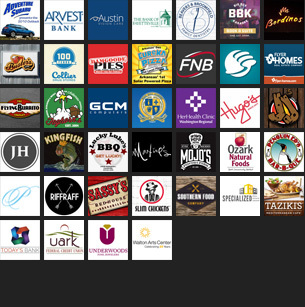 A quick scan of the bar’s website reveals a tap list that few Razorback fans have ever experienced before. It’s heavy on Colorado beers, but there are plenty of other states represented as well. And the range of styles is other-worldly. Current standouts include Supercluster from Lagunitas Brewing Co. and Velvet Yeti from Great Divide Brewing Co. The food menu doesn’t look too shabby either. Double-stacked burgers should provide a solid gastric foundation for Arkansans looking to put a dent in The Mayor of Old Town’s impressive tap list. Fort Collins is a town of over 160,000 people, more than twenty breweries, and more tap handles than you could possibly count. There are far too many places to mention here, but there are a few other notables Arkansas fans should check out if they have time. Curtis says Snowbank Brewing, Equinox Brewing, and Jessup Farm Barrel House are all worth a visit if you have two or three days to explore the city. And for great beer and food options, check out Choice City Butcher & Deli. People rave about its Colorado Reuben, which is piled high with buffalo meat. While some football fans will be in-and-out of Fort Collins relatively quickly, spending ample time there is Curtis’ recommended approach. For a more information on Fort Collins see Curtis’ 2016 story on Good Beer Hunting. He also has an interview with Kevin Bolin from The Mayor of Old Town on the site. Hopefully Razorback fans who make the trip get to taste all of the delicious beer Fort Collins has to offer. And hopefully the football team will take care of the Colorado State Rams on the field. While road trips to new and exciting places are always fun, the beer always tastes better with a win.